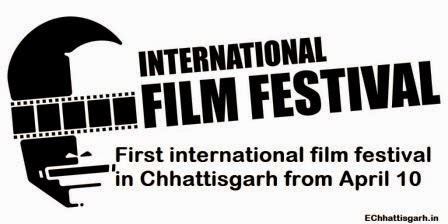 First international film festival will be observed in Chattisgarh capital from April 10-14 in joint collaboration with Chhattisgarh film and visual art society, world India foundation of Delhi and state culture department. The fest would be held at 'Muktakash' on premises of culture department with large number of local, national and international artists. Fest would be inaugurated by VK Singh, minister of state for external affairs, at Vrindavan Hall. According to Subhash Mishra, president, Chhattisgarh film and visual art society said, "the fest would begin with premier show of 'Jai ho democracy' movie which is scheduled to release on April 24. Many artists including Ranjeet Kapoor, French film director Suzain Burnat, Mariyan Borgo, actor and writer Saurabh Shukla would be present at event." Among the actors participating in the fest would be Om Puri, Satish Kaushik, Dr Chandraprakash Dwivedi, Aadil Hussain, Annu Kapoor and Seema Biswas. Short films produced by prominent photographer Raghurai, painter Jatindas will be shown during the event while the final list of other movies is yet to be finalized. Mishra said that the films that have never released in Chhattisgarh or have faced ban in India would be selected. "Intense films made in Iran, Arab countries, conflict zones are on the priority list, hence, it would be mix of national and international films," he said. There will be separate schedule for short films made in Chhattisgarh and detailed discussion would take place everyday on films and direction by the experts.